Sheridan’s Marquee took a warp pipe to the past last Thursday by adding a touch of Nintendo nostalgia to pub night. Nintendo fans and partygoers alike came out in costumes to celebrate their favourite characters from games of the past, and to forget about school for the night. While there weren’t as many people dressed up as last year’s Nintendo pub night those that were dominated the dance floor. Some of Nintendo’s biggest fans felt that Student Union could do better when it came to music selection for the pub night, and think it’s part of the reason there weren’t as many costumes this year. 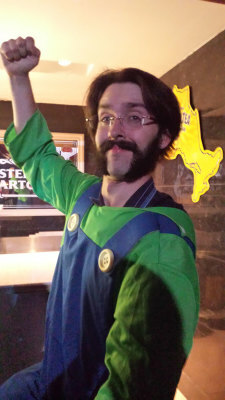 Despite the lack of costumes at this years Nintendo pub night, there was a lot of enthusiasm towards the older games, and when the DJ played the classic Zelda theme, and the original Super Mario brothers theme, the crowd of dancers began to cheer. Added by Rob on November 25, 2014. 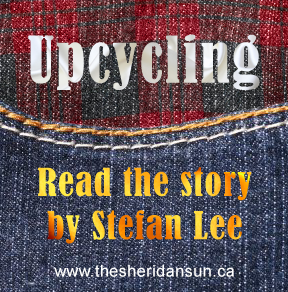 Copyright © 2016 The Sheridan Sun. All Rights Reserved.